Are you concerned about the deteriorating state of your heels? Are you curious about what causes cracked heels? The skin around the heels is sensitive and even the slightest neglect can lead to damage to the skin. It is commonly said that cracked heels show the lack of care and nourishment but this is not always true. Cracked heels are also referred to as heel fissures. It can range from a cosmetic issue to a painful problem, depending on its severity. Heel fissures or cracked heels occur when the skin on outer edge or bottom of heel become hard, flaky, or dry. 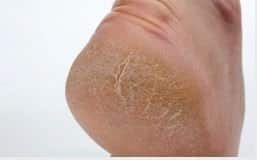 Dry skin is the most natural causes for cracked heels. When the skin around heel gets dried or thick callous has developed around the rim, it loses its elasticity. Thus, callous does not flex along with the inner layers of skin tissue. Impact and friction between layers of tissue while walking triggers cracking on the outer skin. Once cracks develop on the heel, the cracks go deeper due to ground reaction forces and result in damage to the dermis layer. During activities that involve remaining in water for a prolonged period of time, the strength of the skin is affected. It leads to dryness on a layer of skin and causes cracked heels. When sweat around the heel area does not evaporate, or the person is prone to excessive sweating, the skin around heel becomes soggy. Dampness triggers the development of callus. Formation of callus results in cracking of the skin. When a person stands on hard surfaces, especially, barefooted, for long periods of time, mechanical forces cause heels to crack. If a person is obese or overweight, there is a higher probability of heel cracking due to excess pressure on the heels. When the area around the heel becomes thick, it leads to the development of corns and calluses. If there is an increase in pressure on the heel, it leads the heel to spread sideways causing and causes cracking. Illness or metabolic disorder that causes the skin to dry leads to cracking. This includes disorders like diabetes, Thyroid, Eczema, Psoriasis, and others. Water is your body’s principal chemical component and makes up about 60 percent of your body weight. Your body depends on water to survive. Every cell, tissue, and organ in your body needs water to work properly. One way to fight cracked heels is to look at your diet and see if you may have a deficiency in vitamins or minerals. 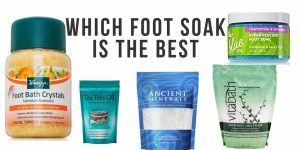 Vitamin Deficiency and Cracked heels is a fantastic article on all the minerals and vitamins you may be lacking that causes cracked heels. Don’t cheap out on foot care lotions. They won’t penetrate the think heel skin. Take a look at our post Our most recommended products post for recommendations! Skin type is often genetic. Some heels get thick very thick callus but don’t crack whereas others have no callus at all. When your shoes constantly rub or too loose, you are at a risk for cracked heels! 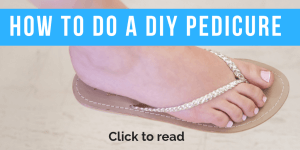 Read more about 5 ways to fix pain in your feet to get a better idea on this. As you get older your skin starts to lose elasticity and can start to flake. Some medications cause your skin to dry up and make your skin crack. Make sure to ask your pharmacist of any side effects for medications that you may be taking.